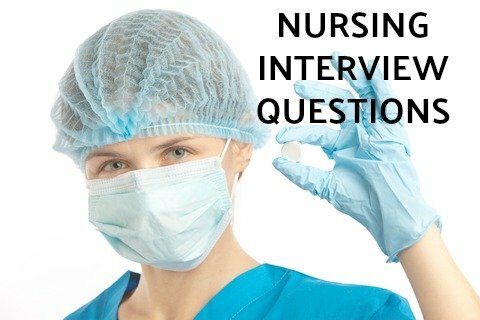 Nursing interview questions will include a number of behavioral questions that explore the key competencies required for the nursing job you are applying for. These typical competency-based interview questions will assess your ability to successfully carry out the tasks and responsibilities that are core to most nursing jobs. Behavioral nurse interview questions will ask you to provide specific examples from your nursing work experience. The interviewer is looking for evidence that you have previously demonstrated the competencies required for the nursing job. Prepare for these behavioral nursing interview questions. 1. Describe a situation in which you recently had to handle a difficult and demanding patient. In your interview answer highlight your communication skills. 2. Describe a decision you had to take quickly regarding a patient. This nursing question is looking at your judgment. 3. Tell us about a time where you disagreed with a colleague over the management of a patient. how you gathered information to make sure you had sufficient understanding of the situation. 4. What changes have you contributed to established practices to improve patient care? your ability to assess and implement new procedures. 5. Tell me about a challenging problem you faced in your previous job. How did you deal with it? This interview question is designed to explore your ability to analyze and manage problems. 6. Nursing work often involves a number of daily frustrations. Tell me about some of the frustrations you have dealt with recently. 7. Take me through a typical day in your previous job. In preparing for this interview question, outline a typical day for yourself and be able to answer this question fluently. 8. How do you manage high stress situations? Give me an example. Find out how to answer the behavioral interview questions using the STAR technique. 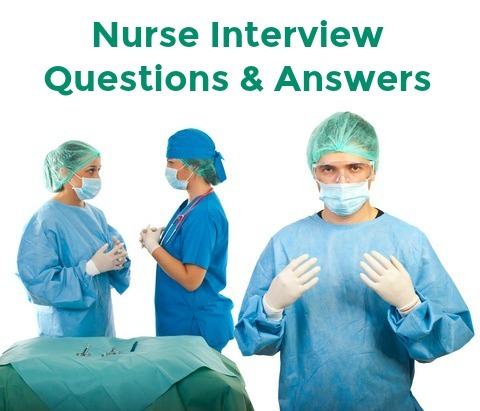 Go through these common nurse job interview questions with excellent interview answer help. What should I bring to a nursing interview? Be well prepared with a list of smart questions to ask in your nurse job interview. Take this list with you. How else can I prepare for my nursing job interview? Prepare for standard interview questions such as "Tell me about yourself". Go to Tell me about yourself for help with this question. What are your strengths as a nursing professional? Find out more about preparing for success in your nurse interview at nursing job interview tips. These nursing resources can help you in your job search. Prepare good examples to use when answering behavioral nursing interview questions and put yourself in front for the nursing job you want.